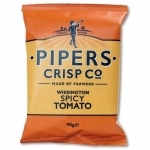 Spicy Tomato flavour potato crisps from Pipers Crisps - just a little bit out of date! 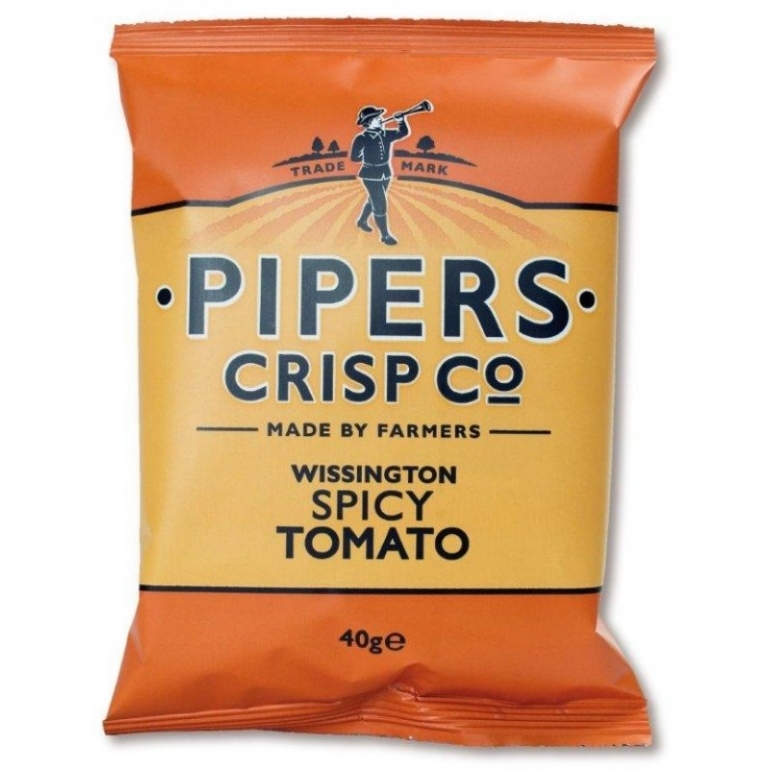 These Wissington Tomato crisps are made using the finest local potatoes combined with the flavouring of tomatoes sourced from Norfolk. All that's added to these succulent tomatoes is Pipers' blend of spices to create that sweet but sharp bite.